If you're like most people, conquering your appetite is one of the biggest challenges you face in your fitness and weight loss journey. As soon as the word "diet" crosses your lips, you may start craving all the junk you know you're not supposed to eat. The secret is eating the RIGHT foods to help calm the cravings for the wrong ones. Add these 9 easy-to-find, tasty foods to your meal plan, and rein in your appetite before it gets out of control! Oatmeal. This hot cereal is high in fiber and low on the glycemic index, which means it fills you up and takes a long time to digest. Research has shown that diets high in slow-burning carbohydrates like oatmeal suppress the hunger hormone grehlin more effectively than diets high in fat. In fact, when you eat oatmeal for breakfast, you may find that your appetite is lower at lunchtime. Steel-cut or rolled oats are digested more slowly than the "instant" variety, so it's worth taking a few extra minutes in the morning to prepare your breakfast the old-fashioned way. Apples. Not only are apples nutritious, but what sets them apart from other fruits is pectin, a soluble fiber that helps regulate blood sugar, keeps you full, and sustains your energy. One medium apple with skin contains 4 grams of fiber, which is more than you'd get in an average slice of whole wheat bread. Add an apple and some cinnamon to your morning oatmeal for an appetite-suppressing breakfast. Pine nuts. These edible pine-tree seeds contain more protein than any other nut or seed, and their oil stimulates two appetite-suppressing hormones (cholecystokinin [CKK] and glucagon-like peptide-1) that tell your brain you're not hungry. Blend pine nuts with basil, garlic, and a little olive oil to make pesto, or sprinkle them on your salad or oatmeal for a delicious, nutty crunch. Beans. The fiber in beans increases CCK, a digestive hormone that's a natural appetite suppressant. A research study at the University of California at Davis found that men who ate a high-fiber meal containing beans had CCK levels that were two times higher than when they ate a low-fiber meal. 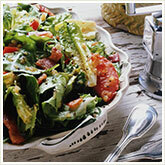 Beans also keep your blood sugar steady, which helps stave off hunger. Whey protein. New studies suggest that whey protein stimulates the hormones that increase the feeling of being full. In one study, researchers at the University of Surrey in England found that people who consumed whey protein felt fuller and more satisfied with less food. Whey also stabilizes blood sugar, and that can help control food urges. 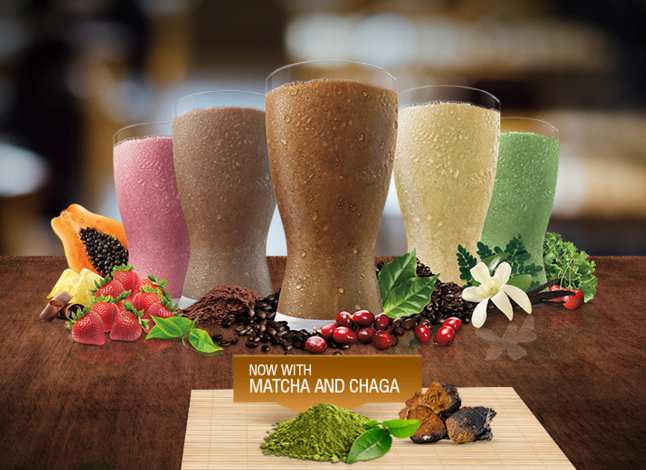 Shakeology with whey protein is also packed with super foods and phytonutrients. You can learn more here.